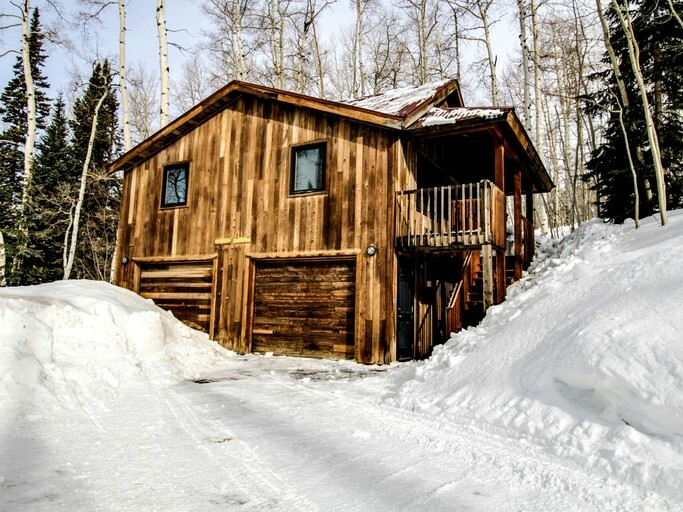 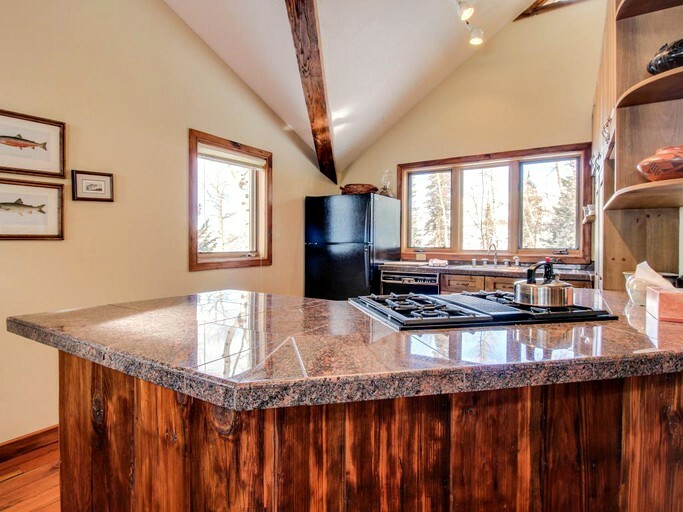 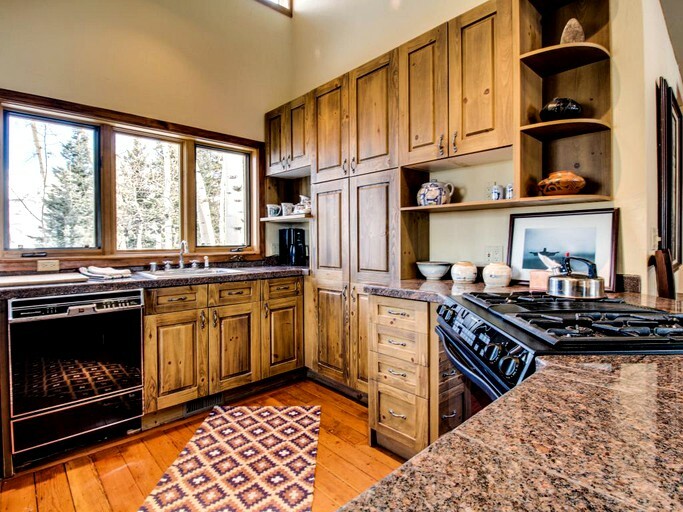 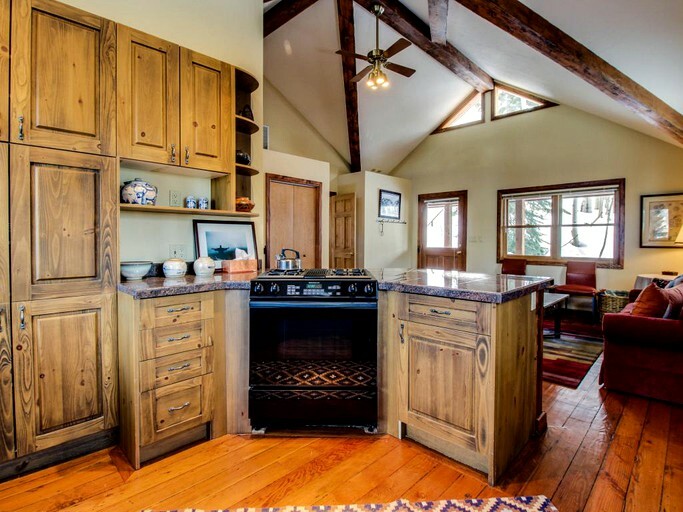 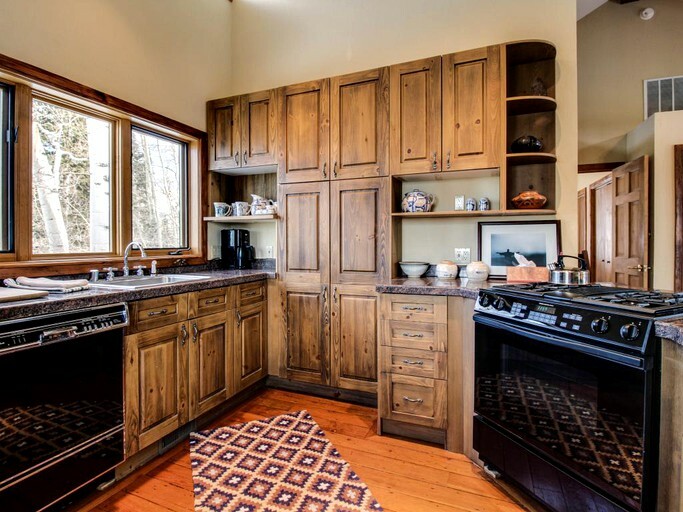 With a maximum occupancy of six guests, this rustic cabin near Telluride Ski Resort, Colorado. 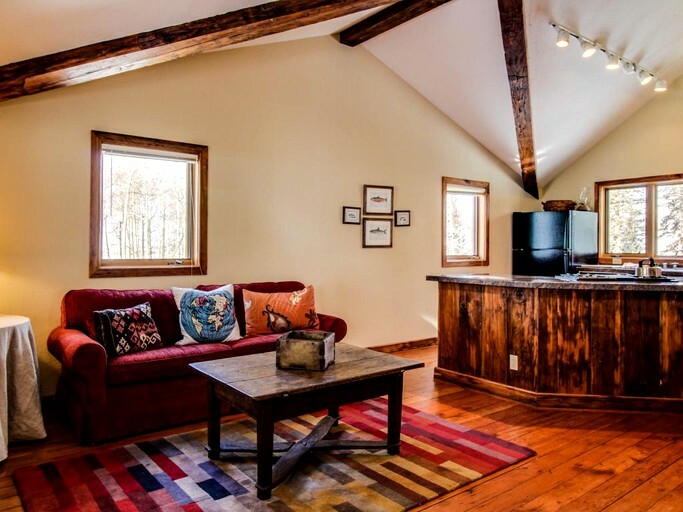 is an ideal retreat for a small family or group of friends. 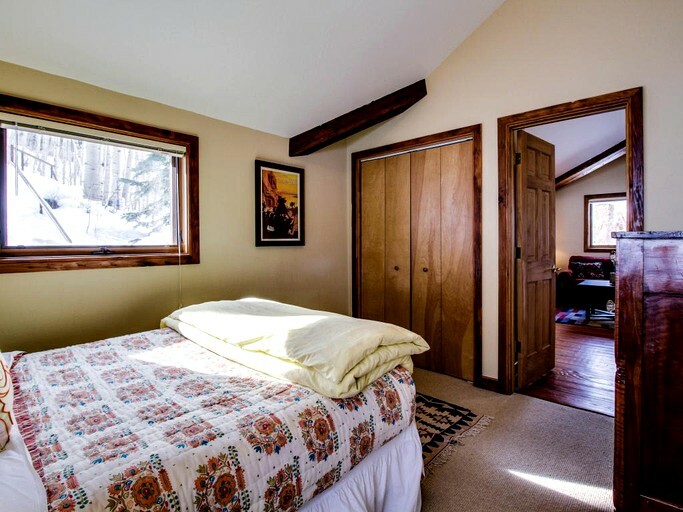 Its many windows allow a lot of natural light to fill the cabin. 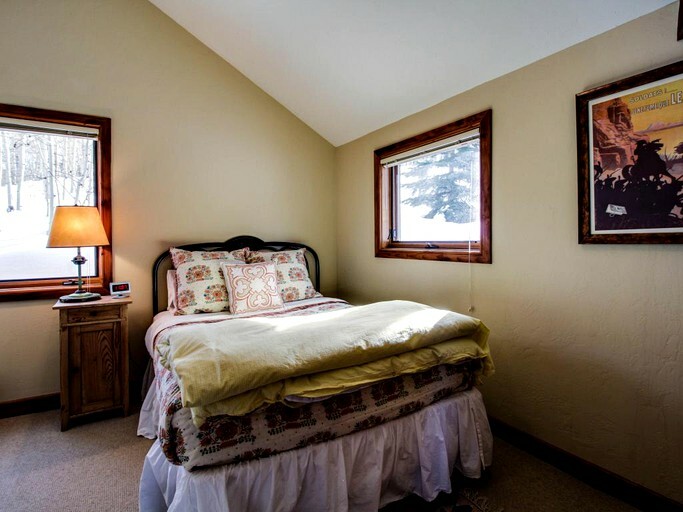 The two bedrooms are cozy and comfortably furnished to ensure a good night´s rest after a long day on the slopes. 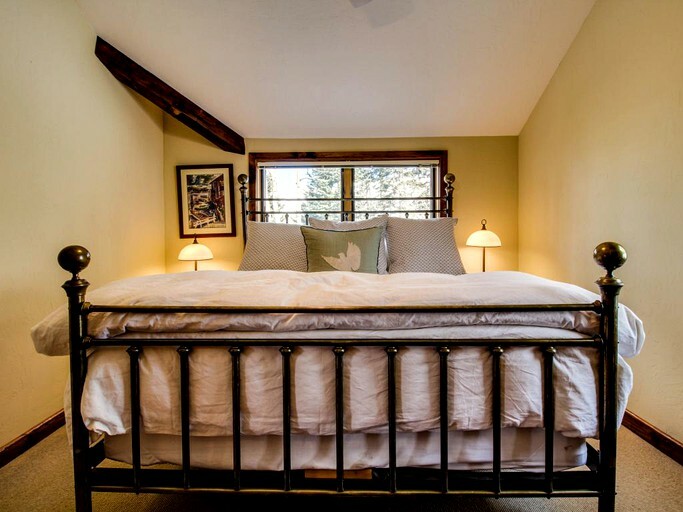 The master bedroom has a king-size bed, and the second bedroom has a double bed. 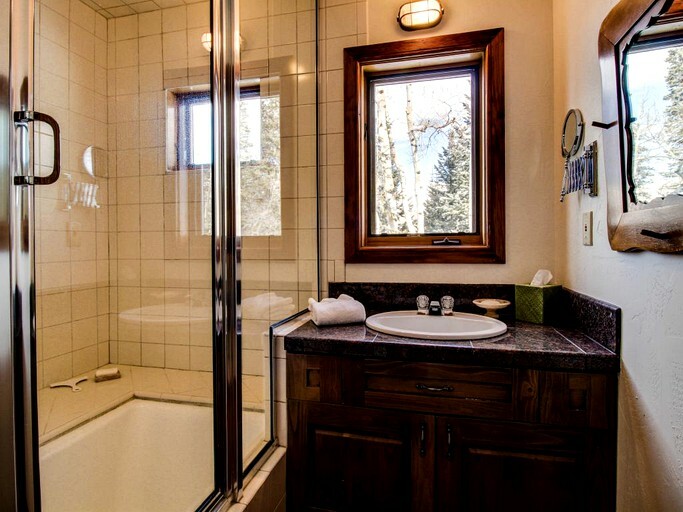 There is one full bathroom featuring a shower/tub combo. 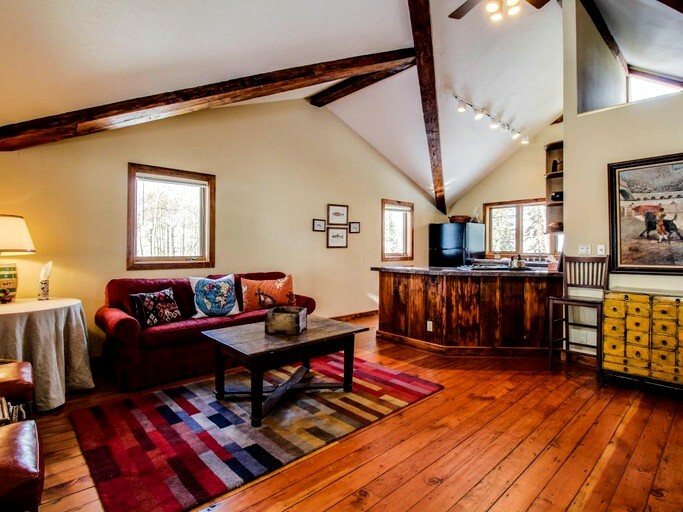 The living room features a sofa bed and a TV with a DVD player for a movie night. 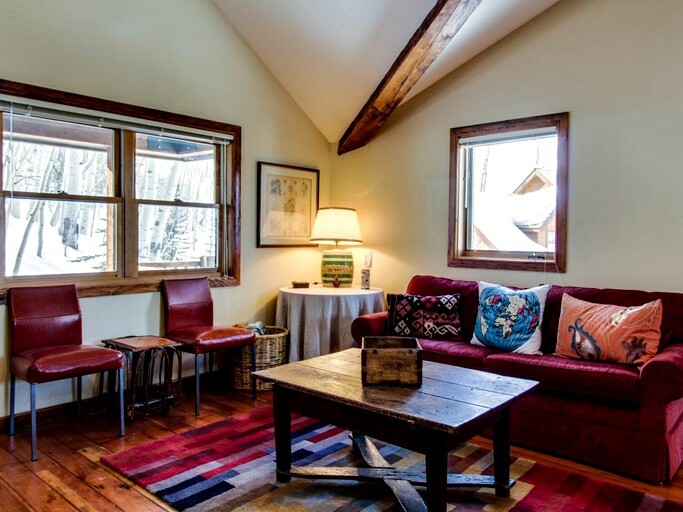 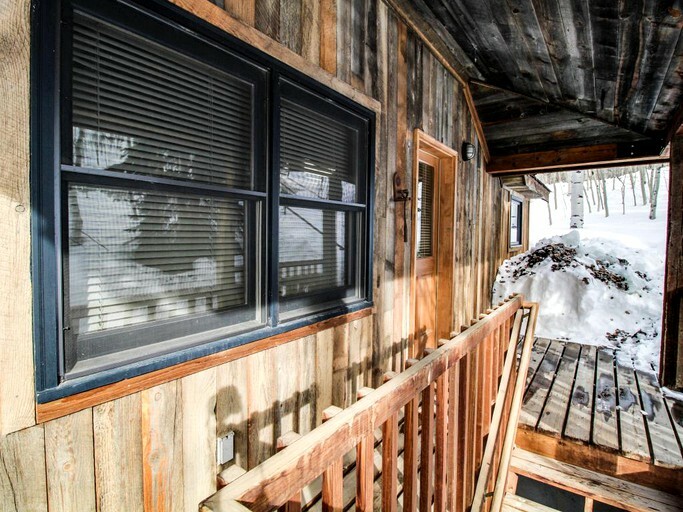 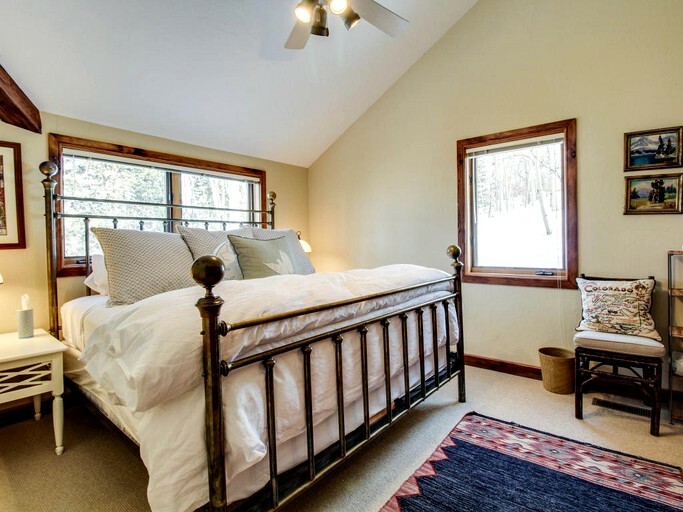 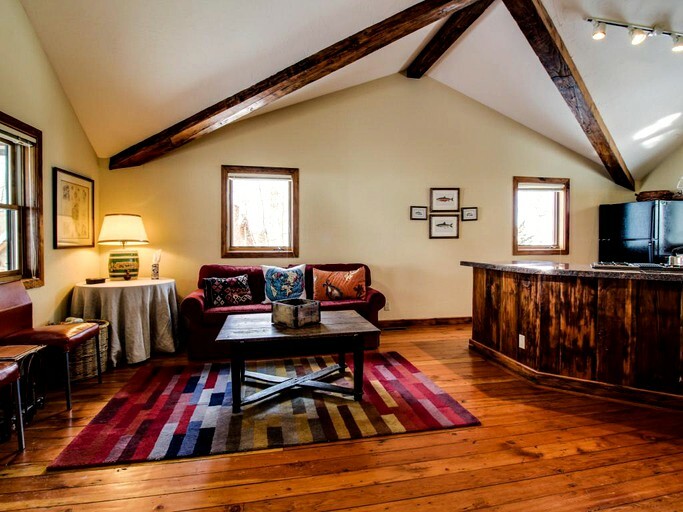 This secluded cabin offers guests a comfortable place to relax after a long day on the slopes. 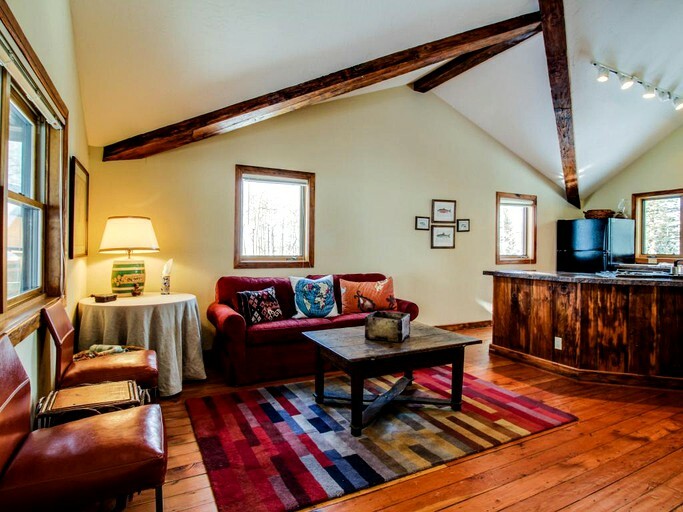 The living room features a cozy crimson sofa and a TV with a DVD player. 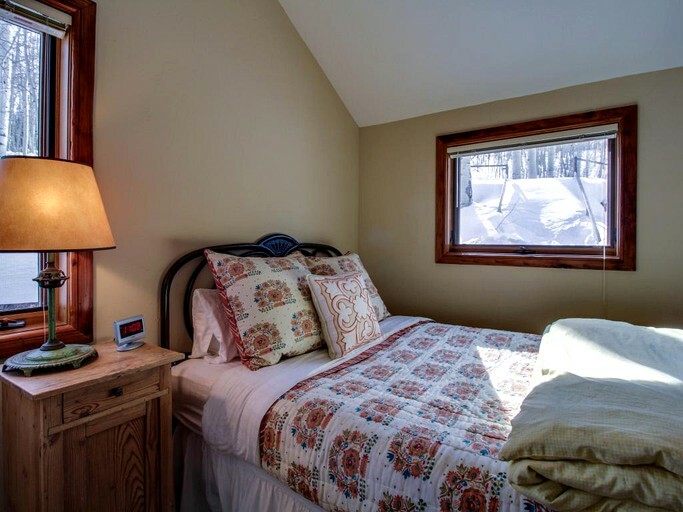 Wi-Fi is available for those who want to stay connected. 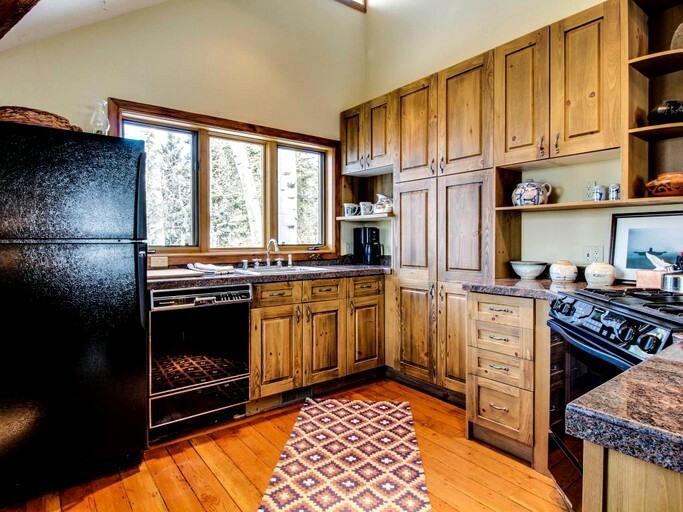 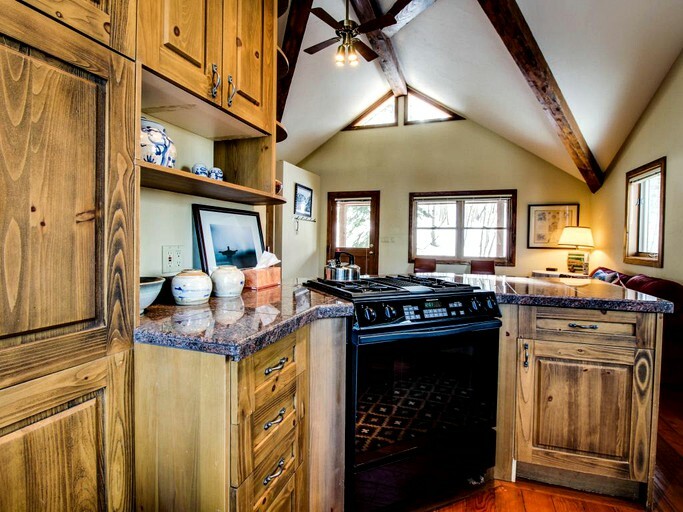 The fully equipped kitchen includes a dishwasher, a toaster, a coffeemaker, and features smooth granite countertops. 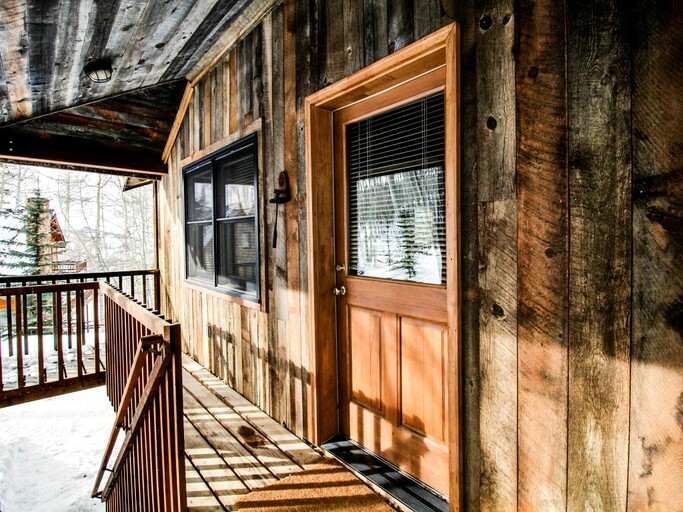 There is also an outdoor deck to enjoy the amazing forest views. 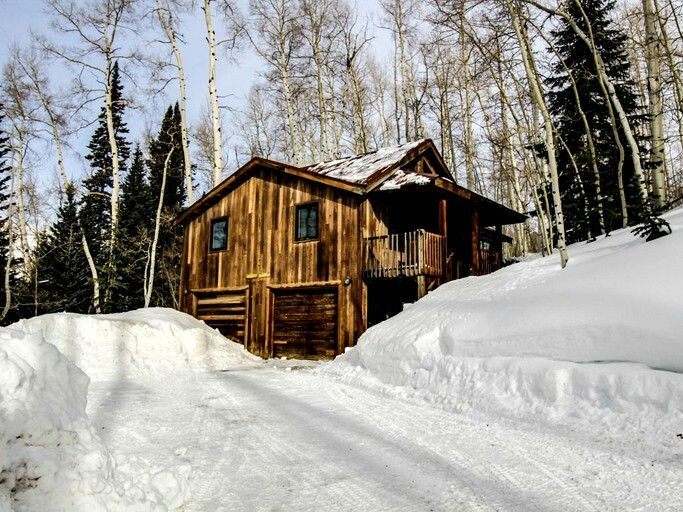 Winter is a blast for skiers and snowboarders in Telluride, with its powder snow-covered mountains. 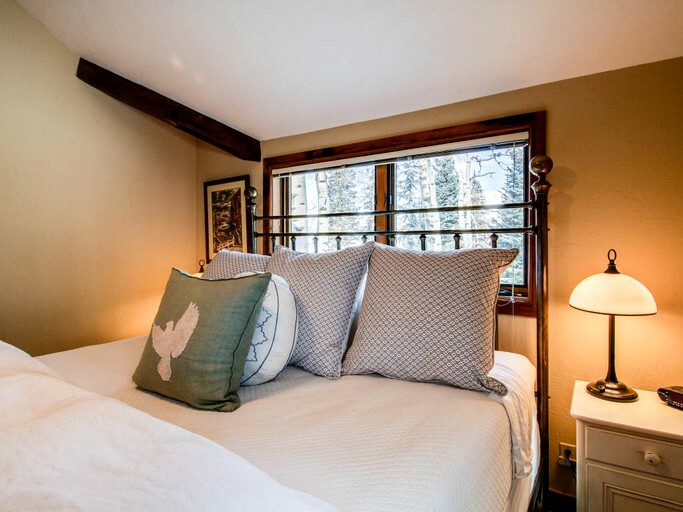 Telluride Ski Resort, which is only three miles away from this glamping site, offers lessons for first-time ski and snowboarders, so there is fun for everyone on the slopes. 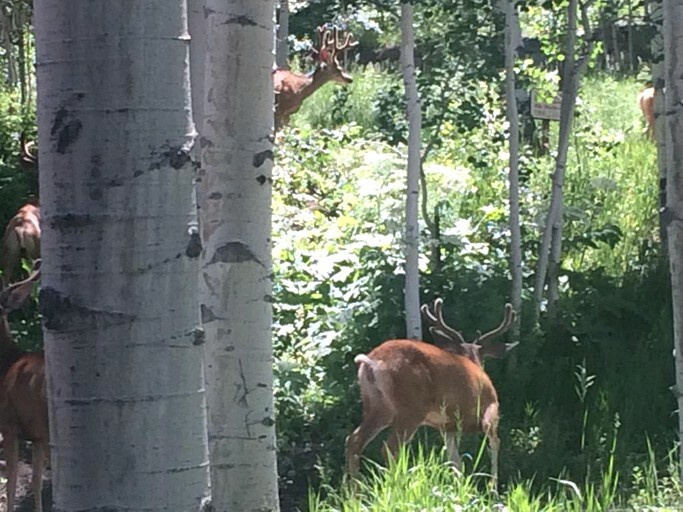 The summer in Telluride offers many more amazing outdoor adventures, such as hiking, biking, fishing, and walking along the creeks and rivers. 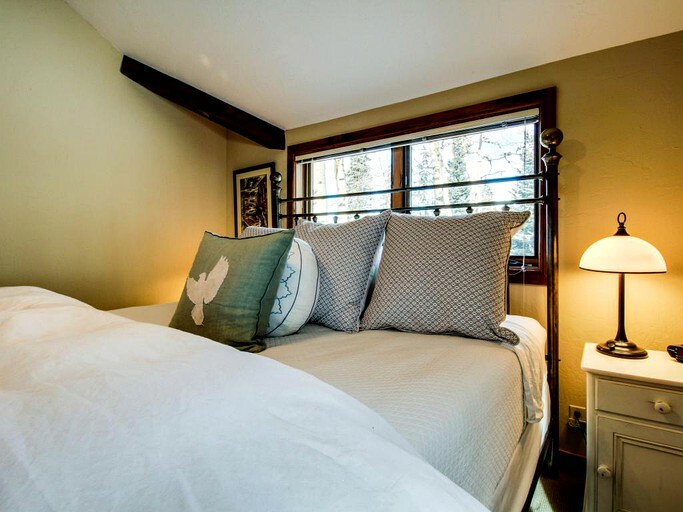 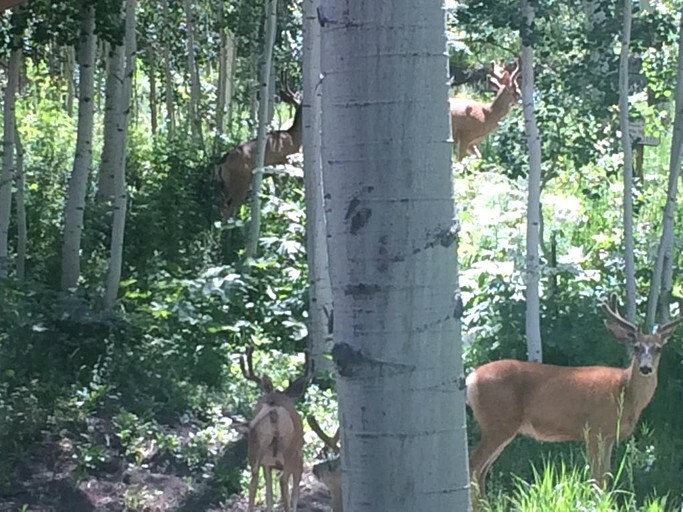 Guests can also indulge in Telluride's music, food, and film festivals. 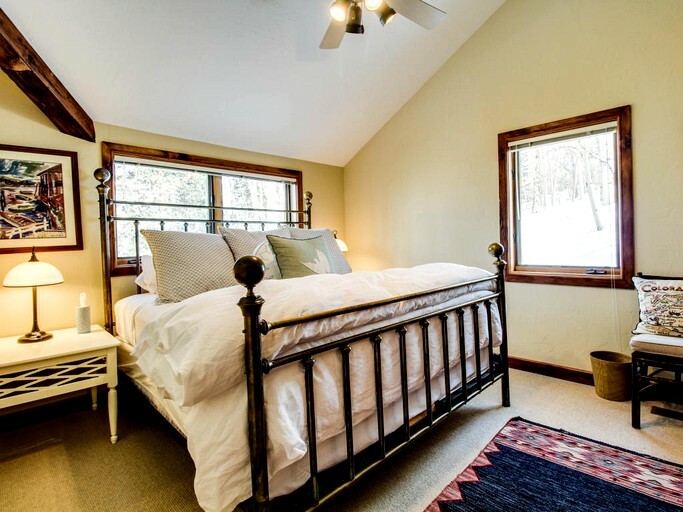 Pets are not permitted at this glamping property.